I've just posted a revised page on 'Bugs with our suggestions for Insect Identification field guides. If you are mainly concerned with critters that you find indoors, or things that bite and sting, check out our new (2009) book - Living With Bugs form OSU Press (see below). For general Insect Identification questions see Insect Identification Field Guides at our 'Bugs site. Do Foggers Work For Bed Bugs? I am occasionally asked whether or not aerosol foggers ("flea bombs") can be used to control bed bugs. The answer is actually pretty simple - there are better ways to control these pests! In fact they don't work well at all. The only really effective way to control bed bugs is to locate and treat their hiding places (see links below). Foggers are cans of pressurized insecticide that release all of their contents as an aerosol mist when the trigger is pressed. They are sometimes called "total-release aerosol insecticides" and are often used to treat indoor spaces for pests like fleas and sometimes flying insects. In general foggers do not work well, even for their targeted pests. The reason is pretty simple - they don't provide the level of coverage that a carefully applied spray insecticide can achieve. Foggers produce a fine mist (aerosol) that is sprayed into the air. The small spray droplets then fall back to earth but don't disperse very well throughout the room and don't contact surfaces that are blocked from above, for example under furniture. Foggers are especially ill-suited for use against bed bugs because these insects hide for most of their lives, protected from the falling droplets of insecticide. This is why it is important to locate their hiding places first then clean and treat these areas directly. See How To Locate and Identify Bed Bugs for more effective ways of dealing with these insects. Also follow the links to finding bed bug hiding places as well as ways to Clean Personal Items such as backpacks if you believe you've been exposed to an infestation. Grain or Meal Moth Infestation Out of Control - Help! Briefly, the top floor of our small church building is simply full of grain moths (meal moths) and despite our best efforts, we seem to be losing the battle. The problem came to light over a year ago, primarily in the kitchen. Problem areas were located and much work was done to clean everything in the area. Even at that time, traps were catching many, many moths (see photo) in areas that spread far from the kitchen. We did what we could, then the weather cooled and things seemed pretty quiet. We kept monitoring traps and replacing as needed, rarely seeing activity. As the weather warmed in early summer, boy oh boy did we see a resurgence. Traps needed replacement as often as every 3 days. We continued to seek sources of infestation and clean, clean, clean. Then we realized our sanctuary -- a significant distance from the kitchen -- was heavily infested. Again, we've done what we can to clean and clean and clean. Sometimes we seem to be making progress, then another crop hatches as we feel back at "square one" as the saying goes. We're basically monitoring and cleaning all areas of the top floor, and not making perceptible progress. Today we tipped over a piece of furniture and found the underside laden with worms, webs and eggs. Last year, in frustration, we had an extermination service spray. As you would guess, that was a waste of money. On the lower level of our building there is limited evidence of moths, though we have traps strategically placed. I am the coordinator of an emergency food pantry, located on the lower floor. The pantry is not infested and was not a source of the problem. We have mega monitoring in this area; it is closed off from everything else and was completely cleaned and painted within the past 2 months. Obviously my deepest concern is allowing the upstairs. problem to compromise the pantry and we're working hard to ensure that does not occur. It is my personal opinion that the moth problem began perhaps 2 or more years ago and no one noticed the problem quietly spreading far and wide. The short answer is the primary moth infestation must be somewhere that is not obvious or you would have already found it. The larvae of these moths infest grains, seeds and other course material like cereal. A common and difficult-to-find source of moths is sometimes a cache of seeds/grain from a rodent nest inside the walls or ceiling. I agree that the moths are probably spreading out from this primary infestation to other parts of the building and I agree that it has probably been going on for awhile. I also agree that pest control is not the answer, unless they eliminate the rodents. Pheromone traps (below) won't eliminate the moths but they may help to pinpoint the highest concentration and therefore where the primary infestation is located so definitely keep traps out. General cleaning won't help much either since these insects require a quantity of seeds or grains not just crumbs. See Meal Moths & Traps for more information. From your description of where you find moths I'd first suspect the second floor ceiling/attic space may be the source. Rodents often nest in these areas and will store seeds or grains. Your best bet, if I'm right, is to control and exclude the rodents, then the moths should go away. If you can actually find the nests, or caches of seeds/grains, and remove them the you'll speed things along. Which "Bugs" Are More Common In Homes? 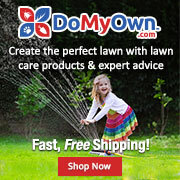 Almost every home harbours at least a few insects, spiders and mites. Most of these critters are harmless or can be managed in simple ways that don't use insecticides or other harsh chemicals. In the lists below I've grouped those that are common in almost every home from those that occur only occasionally under specific circumstances, and those that may "invade" homes, usually from an outside source. There are also the so called "incidentals", that fly or crawl in through an open door or window by accident. The incidentals (moths, crickets, millipedes, and so forth) can be sweep up and deposited outside, or disposed of in the trash. For all the others use the links below to find pictures, life history and least-toxic control strategies. 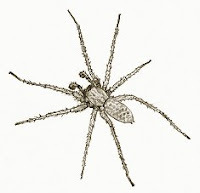 Spiders are very common in houses, most are harmless. Sticky spider traps are the best overall control for large spiders that wander inside homes like brown recluse spiders and hobo spiders (see drawing above). Psocids (booklice) are small, light-colored insects that are associated with damp, moldy areas such as old, musty books (hence the name "booklice"). They are not related to true lice and do not bite. Clover mites are related to spider mites but are distinguished by a pair of very long front legs that can resemble antennae. 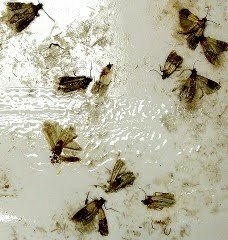 Cluster flies look like house flies and can enter houses in the fall when they seek shelter for the winter months. Lady beetles (ladybugs) like cluster flies and boxelder bugs sometimes enter homes in the fall looking for a place to spend the winter. Root weevils are beetles whose larvae feed on the roots of landscape plants. 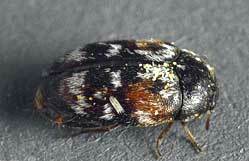 The adult beetles sometimes enter homes but cause no damage. Questions or need a bug id? Contact us here. I deliver propane for a living in NW Washington State and encounter a lot of paper wasps. My policy is live and let live and for the most part I can go about my job in fairly close proximity to even large nests (five inches diameter) and get stung rarely. Lately I have seen a trend of the nests moving down from the inside of the tank lids to the plumbing, which is logistically not a great place for them to be, and is unfortunately an adequate reason to destroy the nest. My question then is, do you know of some natural non lethal 'detractant' I could spray on the plumbing parts of the tank to make them non attractive for nesting? Something like cayenne or some herb, something that might give off a smell in the heat or???? The nests are ok in the tank lids - I understand it is a hot/safe place to build them - they just need to stay off the plumbing. The paper wasp you are encountering is actually a fairly new "invader" species in the US called the European paper wasp (see link for picture). These new paper wasps make much larger nests than our native species and are somewhat more aggressive. There are no sure-fire ways of discouraging nest building but threatening or dangerous nests can be easily managed with new low toxicity, plant oil-based sprays that should not damage the plumbing. These sprays (see the EcoSMART product below) are made from plant oils, not conventional synthetic pesticides. One final thought: since these wasps only initiate nest building once a year in the spring, any areas that are treated should remain wasp-free for at least a year. The question below represents a number of similar questions we've gotten recently about "bites" that mysteriously appear in the morning. In this case, the bites started shortly after moving into a newly built home. Question: What's Causing the Itchy "Bites" - After Moving Into New House? "We recently built a new home from the ground up. The process took a little over a year but we finally moved in this past October (2009). Not long after we moved (maybe a month?) I started to experience mysterious bites mostly along my thigh area down my leg to my ankle or foot (see photo). These were happening at some point in the night and every night because I am certain they were not there the previous day. We immediately thought bed bugs since our mattress was stored in a garage during the build, wrapped in fabric but not plastic. We instantly got rid of the mattress, thoroughly cleaned the entire bedroom and home, then continued to sleep on an air mattress in a room at the other end of the house until our brand new foam mattress arrived a week later. I do have to note however that maybe twice during that week we were on the air mattress, I did awake in the morning with one or two bites as opposed to the 8 to 10 I would receive before. Since we had our new mattress (about 3 weeks or so now) I have had no problems whatsoever...until just last night. I awoke, only to notice about 8 or 9 bites when I was in the bathroom and happened to feel the side of my leg. That is what is shown in the picture. The bites don't start to itch until they are scratched and then they seem to inflame slightly. Shortly after the itching stops and only starts again if it is irritated by more scratching or something rubbing on them. My husband has not had any bites whatsoever since this ordeal began, and my son who is 2 and sleeps in the room across the hall has had not one bite either. I seem to be the only one affected. We do have a small dog but she is treated regularly with a 3 in one flea medicine and is bathed. As I said before, this is a brand new home. I would think we are rather clean people. I vacuum under beds, dust sills, steam clean, you name it, I do this regularly (approx twice weekly). We shower pretty much everyday, and have never experienced anything like this before. I am at my wits end and would love if I could be helped or even pointed in the right direction. I have spent hours on the internet and just seem to get myself more anxious with the possibilities I read about. Mites? Bed bugs? Chiggers? parasites? AHH!! Your time is greatly appreciated in this matter. I thank you for taking the time to read this and I hope I get to hear back. PS. Right now the temp is cold and it has not been hot since before we moved in. We also live in a farm county on about 30 acres. (So we are not surrounded by buildings and whatnot) Lots of wildlife, etc. Just trying to give you all possible attributes. Thanks again." Fortunately there are only a small number of things that could cause these marks and if you carefully investigate each one you should be able to figure it out and take remedial steps to solve the problem. Let's think about possible insects or mites. Only bed bugs, biting flies, fleas, body lice, or biting mites could be the culprit. There are no "mysterious parasites" despite all the Internet rumors and myths. Body lice are pretty easy to eliminate from the list if you regularly wash your clothes. A low level bed bug or flea infestation is possible but usually there's other evidence such as the presence of the "bugs" themselves, plus fleas don't typically bite along the legs like you describe. Biting flies (mosquitoes, black flies, biting midges) usually occur outside. Biting midges and mosquitoes sometimes come indoors, however. Of the biting mites, chiggers occur outside in brushy areas and the bites are extremely irritating and itchy in most people, and don't usually show up at night. 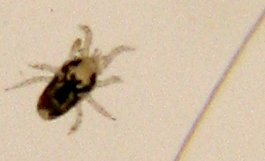 Bird mites are a possibility but they tend to be confined to one particular room (you mentioned that the bites showed up in different parts of the house). Of all these possibilities, I'd say that a low level bed bug or flea infestation is the most likely. However, it is also possible that these marks are not bites at all but rather some type of dermatitis caused by a chemical or allergen. One of the key things in your description was that you moved into a new house shortly before this all started. New construction produces many chemical residues that people can react to such as glue, paint, insulation, and so forth. My initial guess is that you are in fact reacting to one of these chemical residues rather than some type of bug bite. The only way to be completely sure is to investigate each of the possible insect or mite culprits but if you can't definitely find one of them I'd suspect there's some chemical in the house that you are reacting to. Use this page for background information about all the possible "bugs" to start your investigation. You may also want to take a look at a book like "My House Is Killing Me! : The Home Guide for Families with Allergies and Asthma" by Jeffrey May (I have no connection to this book). I hope this is useful, good luck.